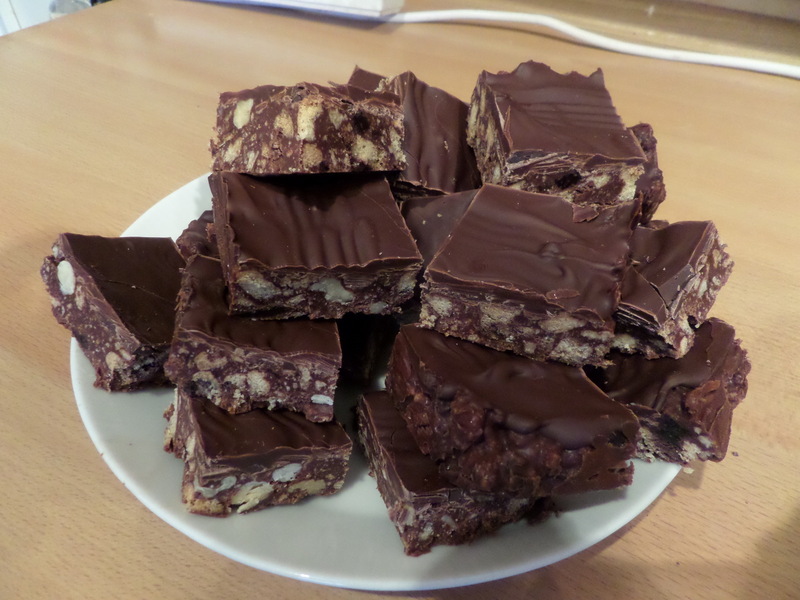 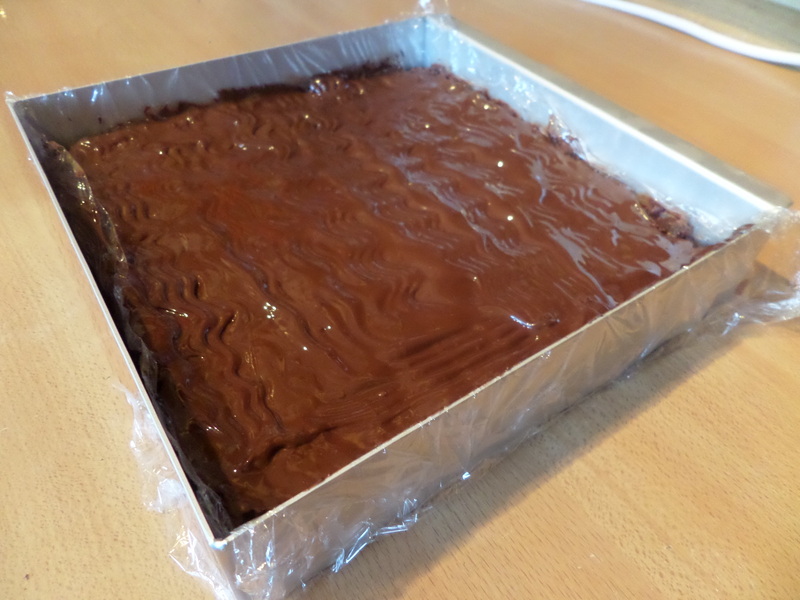 Soph’s half marathon this weekend is serving as an excuse to make a lot of rich food this weekend, none more so than this tiffin (or chocolate fridge cake, if you prefer). 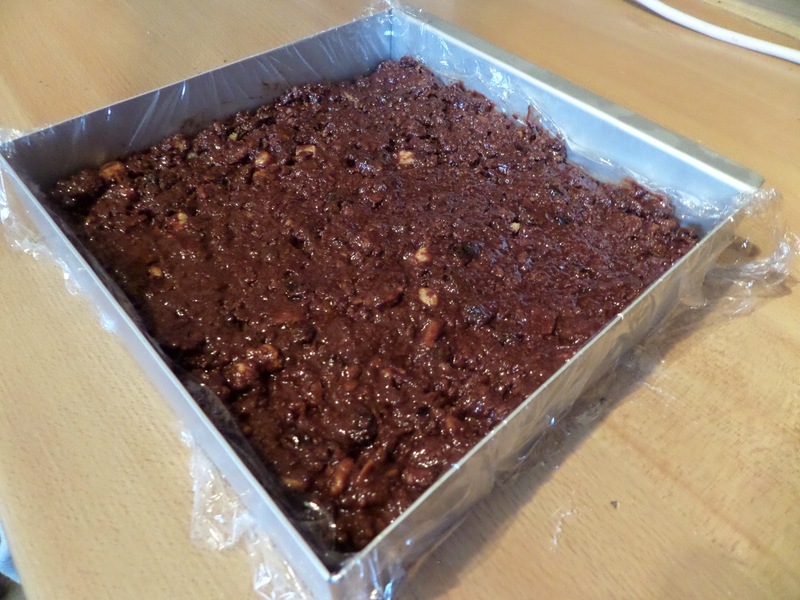 It will be loosely based on this BBC Good Food recipe, at least in the digestives and mix of dark and milk chocolate, but the rest of the ingredients will just be what dried fruit and nuts we have lying around: dates, walnuts, hazelnuts, rasins. 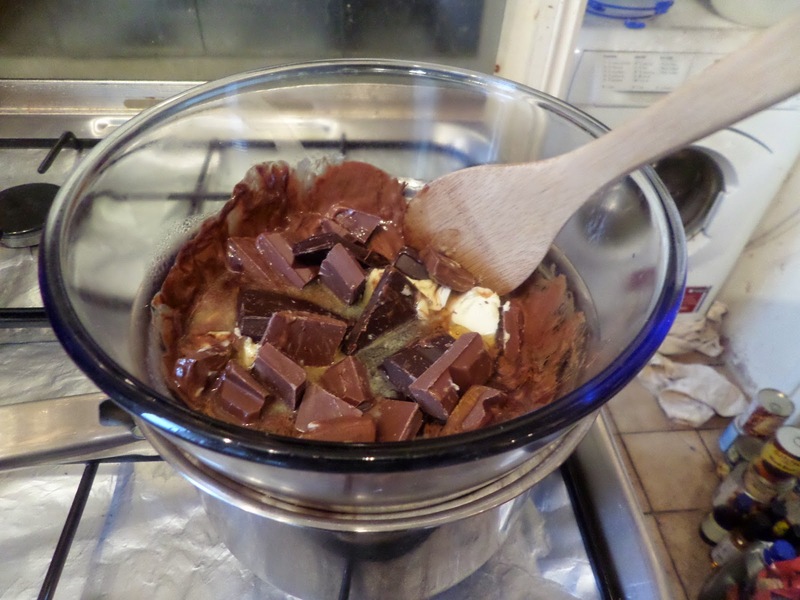 Nothing complicated here: just melt butter, chocolate and golden syrup. 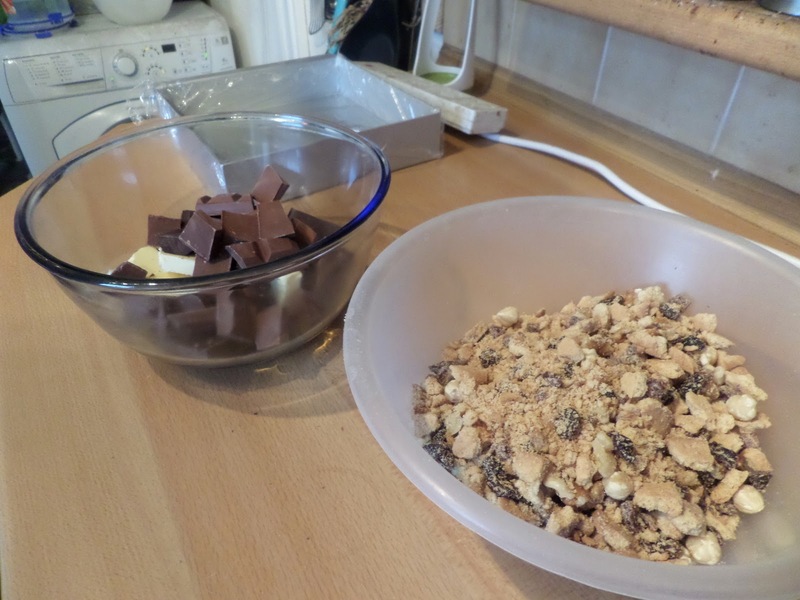 Then mix with the crushed biscuits,dried fruit and nuts, and pop in a clingfilm lined tin and pop in the fridge. 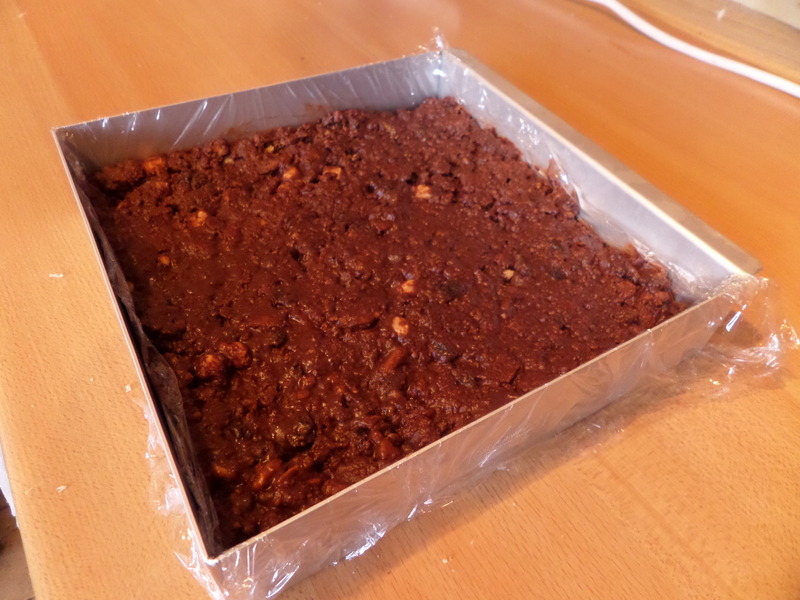 Finally it’s time to cut and serve!